Senior care home care agency Home Instead Senior Care, one of the largest senior home care companies, will close nominations today for their "Salute to Senior Service Contest". The contest allows anyone to nominate someone who volunteers with senior programs to win a $5,000 donation for their designated non-profit charity as the national winner and local winners receive a $500 donation. Senior home care agencies offer caregiving services to seniors in their homes and in assisted living communities and often coordinate all of the senior's care services, from food delivery to transportation to medical equipment. Home Instead offices are located nationwide. Remember, anyone interested in working as a senior caregiver may apply for a part-time or full-time caregiving position in their area on Caregiverlist.com, as there continues to be a demand for more professional caregivers. Caregiver employment delivers both a paycheck and fulfillment by assisting a senior to enjoy a better life as they age-in-place. Caregiver basic training starts the process of learning the skills used by professional caregivers. Knowing the correct format for correspondence can be difficult. Creating an easy to read resume that highlights your talents as a senior caregiver and an accompanying cover letter about your work experience makes a big difference in getting hired. 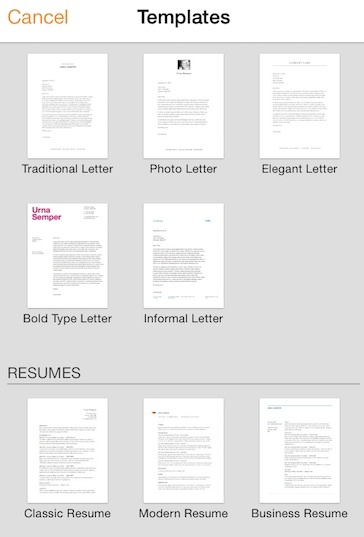 The Pages app features resume, letter and other templates for easy creation of professional documents. As a caregiver, your resume should reflect all of your past work experience and any training you've completed. There are six different resume template choices in the Pages app, so users can select the one that best represents the feel they'd like for the information they're sharing. Most are generally alike. The elegant resume and the informal resume both use the same basic components for the body, offering users the chance to define their professional summary before highlighting work experience, education/training, skills, etc. Once a template is selected, the entire resume template can be edited on the user's smartphone. The template comes with filler text that can be deleted, replaced and customized with the user's experience. If a particular section isn't applicable, users can easily delete it from the template as well. Once all of the user's experience is filled in, the options to print, share via iCloud or e-mail make it easy for caregivers to send their resume whichever way is most convenient for them. The e-mail option includes a conversion to PDF, which is a format that can be opened on virtually any device. The other template options include letters, which can be used to create a cover letter detailing why you'd like a specific position as a caregiver. Other templates include envelopes, business cards, greeting cards, etc. for other personal and professional uses. The pages app is available for free for Apple platforms. Congratulations to the February weekly winner of Caregiverlist Refer-a-Friend and Win program - caregiver Brenda Russell from Burns, TN. Brenda referred her friends and neighbors for caregiver and certified nursing assistant jobs that are available on Caregiverlist's Caregiver Career Center, and she won basic senior 8-hour caregiver training and certification from Caregiverlist. Remember, you may always apply for multiple caregiving positions (Professional Caregiver, C.N.A., C.H.H.A. and Family Companion) near you online on www.caregiverlist.com. Refer-a-friend to Caregiverlist and get entered to win a free 8-hour online caregiver training program certification for senior caregivers. A new winner is drawn weekly. One monthly GRAND PRIZE WINNER receives a Scrub of the Month (top, bottoms and pair of shoes), courtesy of Scrubs Magazine. Sometimes browsing the internet for a new household project, recipe or fitness routine can result in many great finds without a cohesive way to organize and save them for future use. The Pinterest app and accompanying website allow users to search through their database of user content and "pin" it to various of their own boards for future use. The Pinterest database is sorted into different categories for easy browsing. Some categories that senior caregivers may find most useful in finding activities to share with their senior clients are DIY & Crafts, Health & Fitness and Gardening. 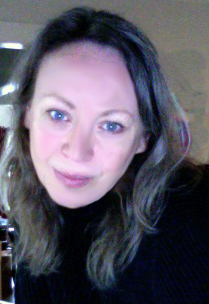 Finding projects to help senior clients switch up their routines and work their brains hold many positive benefits. Exercising the body and mind on a regular basis helps with dementia prevention. An activity like gardening can get seniors moving as well as stimulate the mind. Additionally, caregivers can use the Food & Drink section to browse through new recipes to make for themselves or share with their senior clients. Once a user finds content they'd like to save on the site, they can "pin" it to one of the boards attached to their profile. For example, caregivers can create a board for recipes, another for projects and a third for pictures they find relaxing or funny. When a caregiver comes across a recipe they'd like to make next week, then they can click the button at the top right of the screen that says, "Pin It" and a new screen will pop up asking which board the user would like to pin it to. When caregivers save content to a board, then it will remain there indefinitely for users to come back to and view whenever they'd like. Pinterest also offers the chance to follow other users and view what they pin, so if you have friends who use the site you can view their boards as well. Users can view the website and the app interchangeably for ease of accessing content. 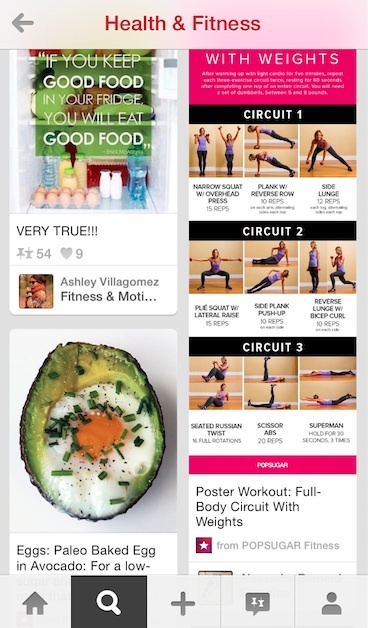 The Pinterest app is available for Apple and Android platforms. Senior caregivers list heart disease as one of the major concerns for their senior clients and loved ones. Heart disease is the leading cause of death among the elderly, and it affects both men and women. Looking at the statistics, it’s easy to see why many of us know someone in our lives that has been affected by heart disease. According to the Centers for Disease Control and Prevention (CDC), every year about 715,000 Americans have a heart attack, and about 600,000 people die of heart disease in the United States every year–that’s 1 in every 4 deaths. February is, not surprisingly, American Heart Health Month. Cardiovascular disease (CVD) includes heart disease, strokes and high blood pressure. Although some factors can put you at higher risk, such as race and ethnicity, family medical history, and even geographical area, many CVD deaths could be prevented with lifestyle changes such as eating a healthier diet, exercising, and not smoking. Medication may also be necessary to manage conditions like high blood pressure and diabetes. Get a check-up once a year, even if you feel healthy. You know the adage: an ounce of prevention is worth a pound of cure. Have your blood pressure and cholesterol numbers checked regularly. If you have diabetes, talk to your health-care team about how to best manage it. If you need medication, remember to take it. Eat a healthy diet. Eat lots of fresh fruits and vegetables. Limit your fats and sodium. Whole foods are better than processed. Good nutrition is key. Exercise regularly. Incorporate exercise into your everyday life. Shoot for 30 minutes of exercise every day. Don't smoke. If you don't smoke, don't start. If you do smoke, quit as soon as possible. Maintain a healthy weight. Being overweight or obese can increase your risk for CVD. Know your body mass index (BMI) and maintain the optimal weight for your height. Limit alcohol use. Alcohol can increase your blood pressure. Men should stick to no more than two drinks per day, and women to no more than one. If you think you or someone you know is experiencing any of the symptoms above, call 9-1-1 or your emergency response number immediately. Heart attack and stroke are life-and-death emergencies — every second counts. Senior caregivers can receive additional Caregiverlist Basic Training, powered by Caregiver Training University. The 8-hour training course meets senior caregiver orientation training requirements for many states and provides information on how to best care for your senior client or loved one. 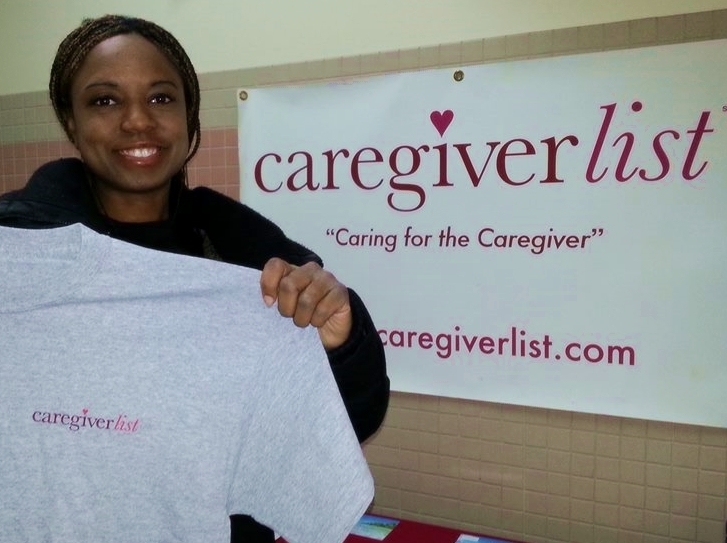 Congratulations to the February weekly winner of Caregiverlist Refer-a-Friend and Win program - caregiver Melissa Diaz from Orlando, FL. Melissa, certified nursing aide, referred her friends and family for caregiving jobs that are available on Caregiverlist.com, and she won basic senior caregiver training and certification from Caregiverlist. Read Melissa's and other caregivers' stories on Refer-a-Friend page, and refer your caregiving friends and family for senior care employment. 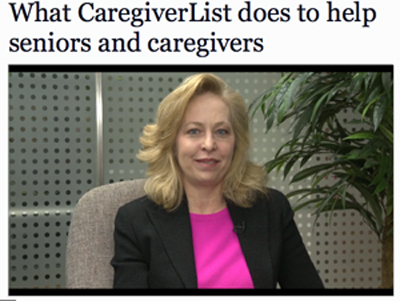 Senior care companies hire Professional Caregivers, C.N.A.’s, & C.H.H.A.’s weekly from Caregiverlist, the only Caregiver Career Center customized for the senior care industry. Apply for multiple caregiving positions near you online by visiting Caregiverlist Caregiver Career Center. As more senior caregivers are needed, refer friends to caregiving jobs at the Caregiverlist Career center and anyone considering a career in senior care can also visit the C.N.A. and C.H.H.A. school directories, C.N.A. sample and practice tests, and other up to date information for senior caregivers. As a leading social network, Facebook connects us with out loved ones no matter how close or far away they may be. 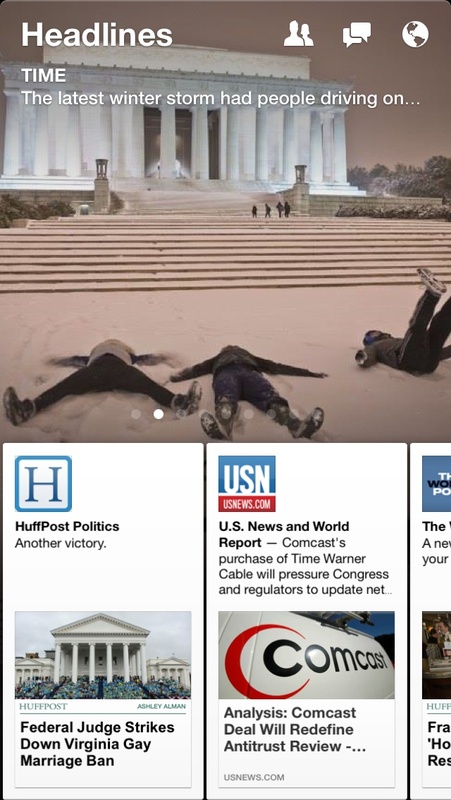 Last week, to celebrate their 10 year anniversary as a company, they launched the Facebook Paper app to combine the Facebook newsfeed with the world of online news. Caregivers can use Facebook to help their senior clients connect with their loved ones. Whether a caregiver helps a senior client run their own profile or simply adds a few of their senior clients' relatives on their own profile, they can use Facebook Paper to share updates and pictures just in time for Valentine's Day. Senior clients may be missing their friends and family around this holiday if they're not nearby, so using social media to write a little message and see a few pictures can help them feel the love. The layout of Facebook paper offers clean and simple browsing. When new users log in for the first time, the app requests that they choose which categories they would like included in the app and the order of importance. The categories include Headlines, Pop Life, Tech, Cute, Flavor, etc. The various options give Facebook Paper the feel of a customizable magazine. Users first see their regular Facebook newsfeed stories from their friends when they log in. Then, if they swipe from right to left, they are taken to their highest rank category, such as Headlines, to read the latest in that area. The stories come from popular and reputable sources, such as TIME and CNN International. As users continue swiping from right to left, they browse through more categories of their choosing. For the newsfeed section of the app, Facebook will display various recent pictures across the top half of the screen in a slideshow fashion. This gives your senior clients the opportunity to easily view photos shared by their loved ones without having to go directly to their profiles. Senior clients can also set up their own category preferences for the rest of the tabs in the app. One recommended category that's fun and light is the Cute category, which features adorable photos of small animals. Who doesn't love a cute baby elephant? The Facebook Paper app is available for free for Apple platforms.